JMC fellow Robert George will visit Notre Dame to deliver the annual Tocqueville Lecture. This fall, JMC fellow Robert P. George will deliver Notre Dame’s annual Tocqueville Lecture on Religious Liberty. The lecture, sponsored by the Tocqueville Program for Inquiry into Religion and Public Life, is free and open to the public. 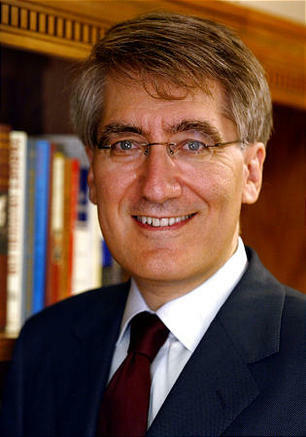 Robert P. George is the McCormick Professor of Jurisprudence and Director of the James Madison Program in American Ideals and Institutions at Princeton University. George has served as chairman of the U.S. Commission on International Religious Freedom and as a presidential appointee to the U.S. Commission on Civil Rights. He has also served on the President’s Council on Bioethics and as the U.S. member of UNESCO’s World Commission on the Ethics of Science and Technology. George is also a visiting professor at Harvard Law School. His most recent book is Conscience and Its Enemies (ISI Books). George recently received a Leadership Award from the Heterodox Academy.